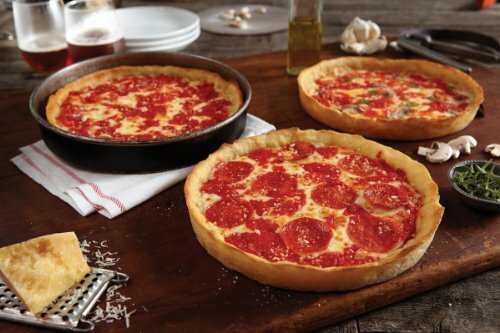 Lou Malnati's legendary pizzas are hand-made from scratch with mozzarella cheese, vine ripened plum tomatoes, and fresh toppings layered on a flaky, buttery crust. Each pizza is 9" and serves two adults. If you have any questions about this product by Lou Malnati's, contact us by completing and submitting the form below. If you are looking for a specif part number, please include it with your message.